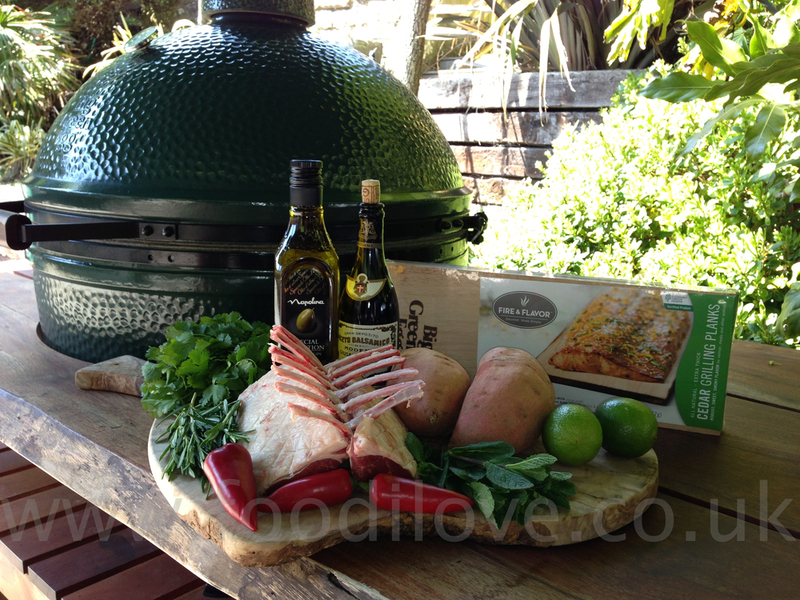 Well spring has sprung and there are lambs all out in the fields around us in the south of England, so what better time to have a braai with some. I will be using a rack of best end lamb chops, which will be French trimmed, just for appearances, much to my sons dismay. He protested that I was wasting the best bits and I’m afraid that I have to agree, but needs must. 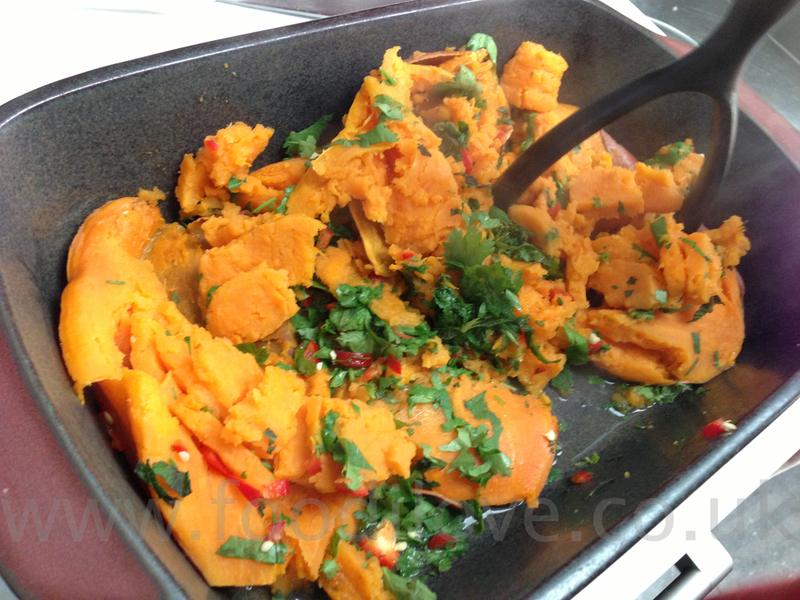 I will be serving this with Sweet Potato crush. First remove most of the fat from the back of the rack, leaving a little bit to flavour the meat as it cooks. French-trim the bones by cutting the fat out around each bone down to the meat. Scrape the bones of all sinew and fat. Cut between the bones and through the eye of the lamb, leaving 1cm of meat still attached at the bottom. This recipe is very simple and quick and I will be lightly smoking it as it cooks, with BigGreenEgg Cedar Wood smoking planks (which we sell) and fresh rosemary. This is only lightly smoked, as you don’t want to loose the great taste of the lamb. Once again we will be giving away a great prize of one of these packs of smoking planks to one lucky reader, see the end of the blog for details. 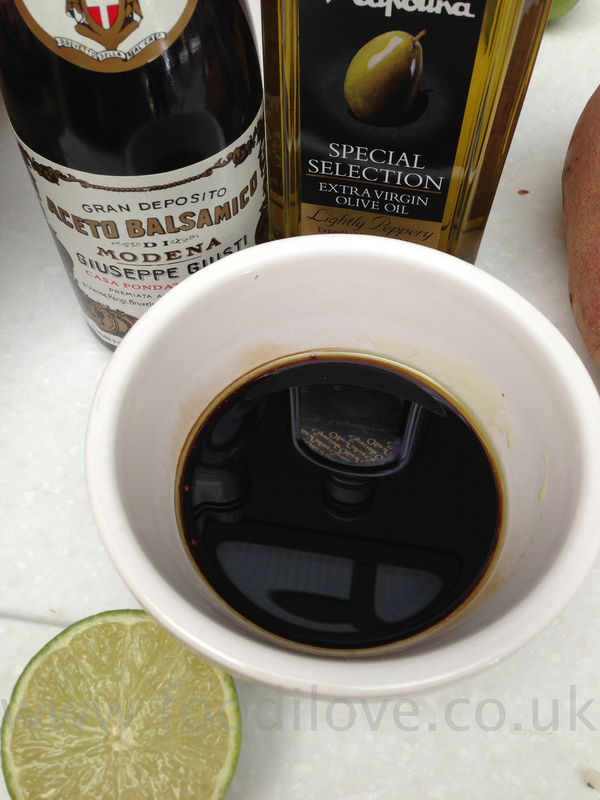 Mix the oil and vinegar together in a bowl. Finely chop the onion and sprigs of rosemary and add to the oil and vinegar. This is now ready to be brushed onto the racks of lamb. 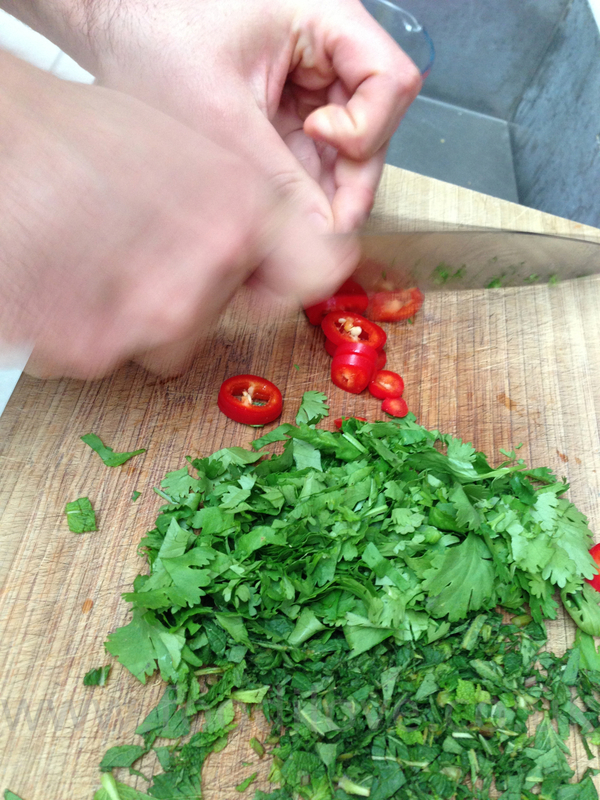 Brush the marinade onto the lamb and leave to marinate out of the fridge for 1hr. Meat is always better if it’s left to come to room temperature before cooking. 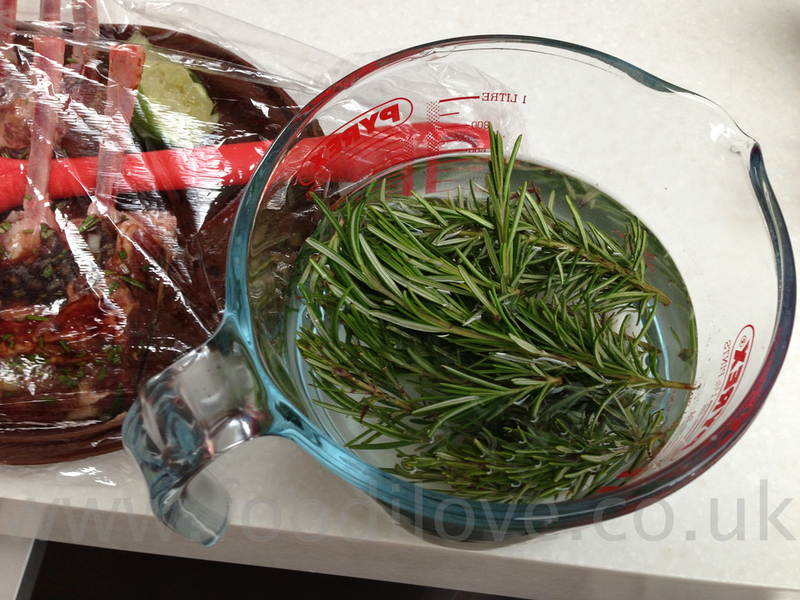 Place the Rosemary & Cedar Wood Planks into water to soak for 1hr. 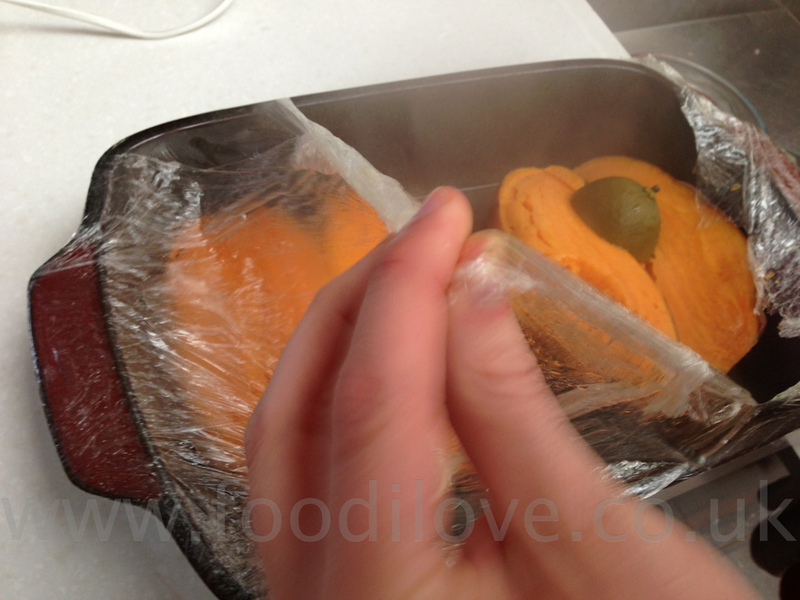 Cover the ends of the chops with baking foil to stop them from burning when you sear the lamb fat. 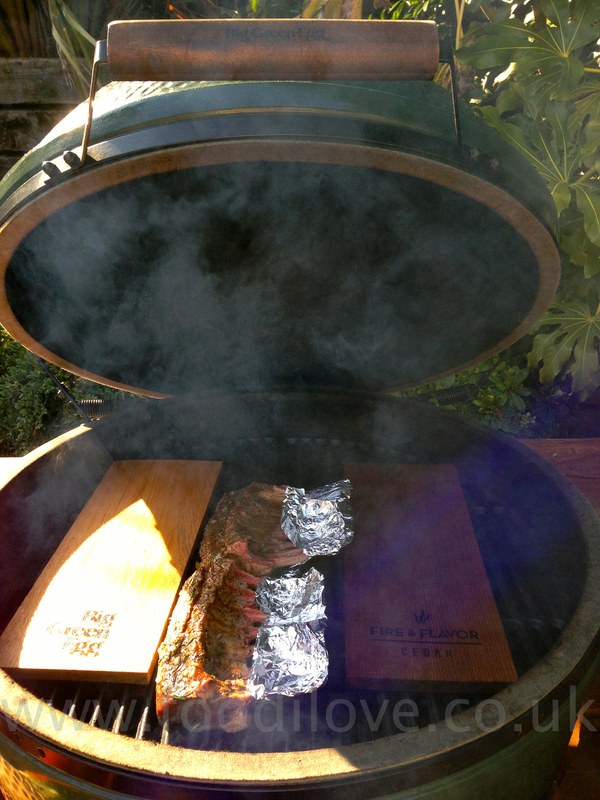 Place the smoking planks in the braai for 5mins to warm up and then turn them over ready to place the meat on them. Sear the lamb racks on their fat side first for 5mins be careful not to burn them. I like to take the foil off the end of the chops to colour when cooking but others don’t, it’s really up to you. 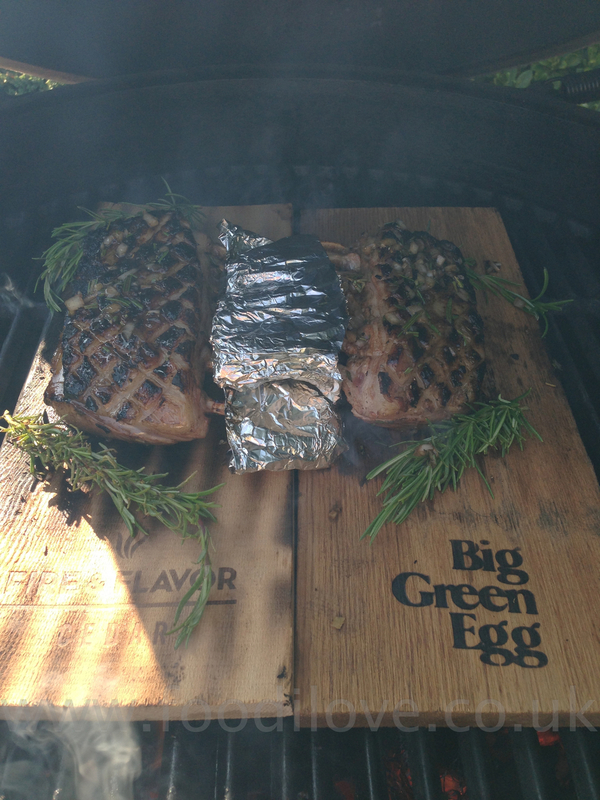 Place the pre-soaked rosemary on the coals so they start to smoulder. 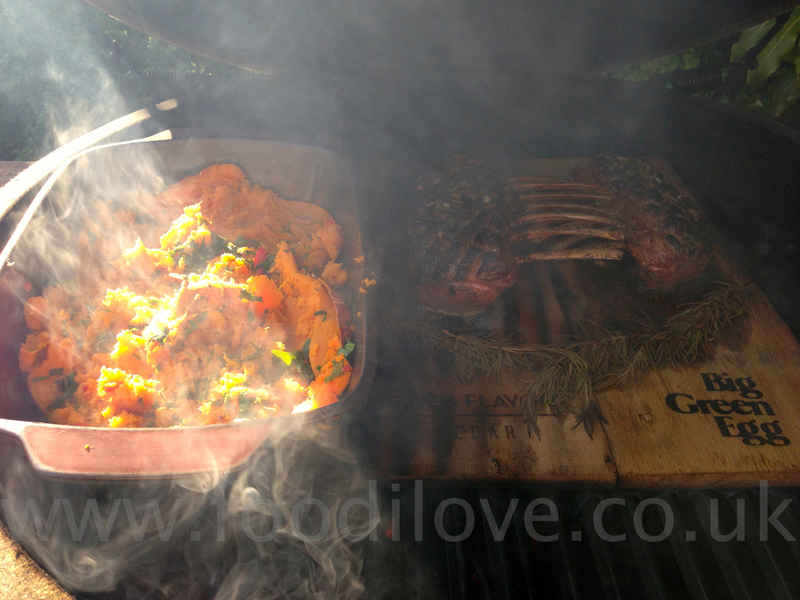 Place the racks of lamb on the smoking planks and cook for 20mins. 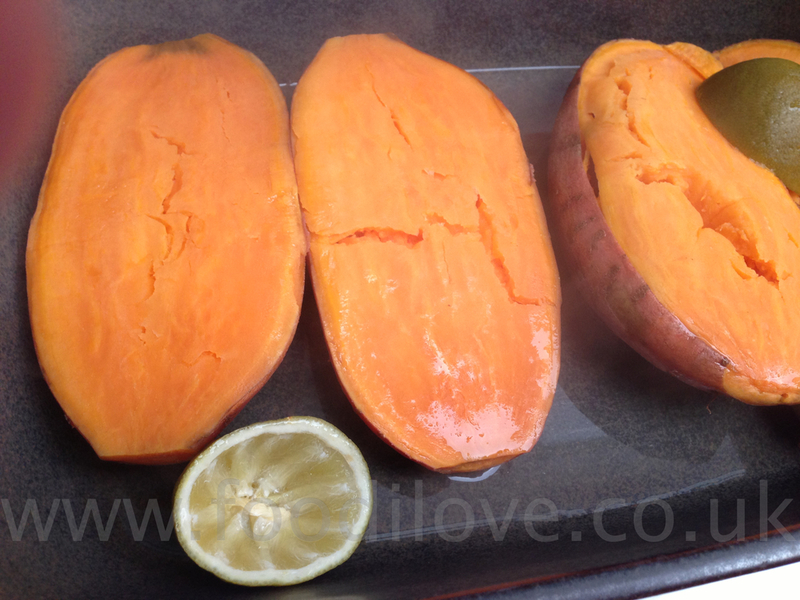 This should be the perfect length of time to cook these to medium rare, pink in colour. 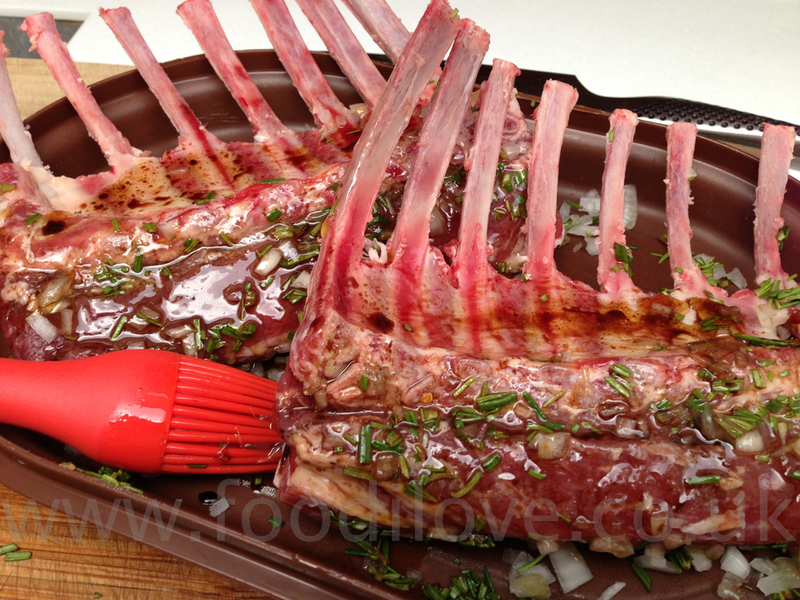 If you have cut the racks (3-4 chops per rack) up into smaller portions then you only need to cook them for 15mins. 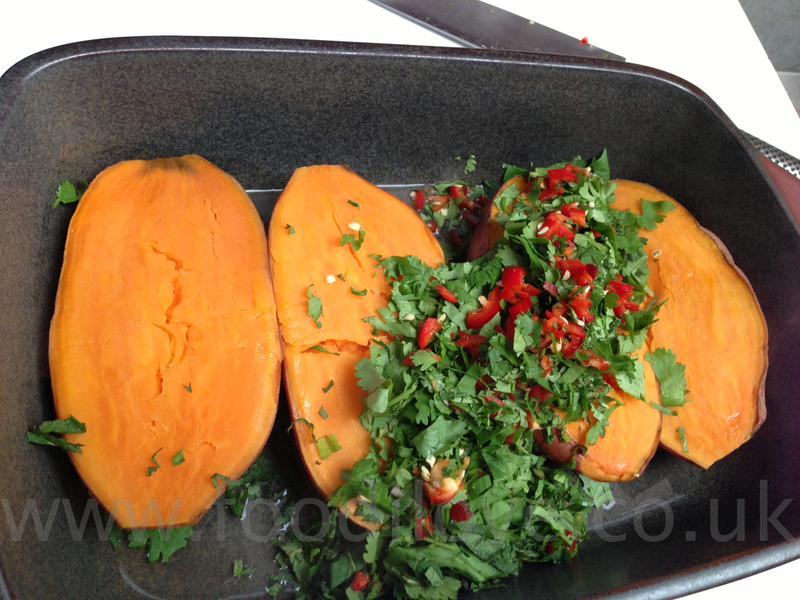 Take them off the braai and rest them on the planks for 5mins so that they relax before cutting and serving with salad, rice of potatoes. This was the first of the Spring Lamb for this year and it so absolutely fantastic. The cedar planks just gave it a slight sweet taste that just added to the smoke from the rosemary and together they were divine. If you would like to try to cook this for yourselves then why not leave some feedback in the comments area below and one lucky reader will win a pack of these smoking planks for themselves. Entries will close on the 22nd June 2013, please check back to see if you were the lucky winner. 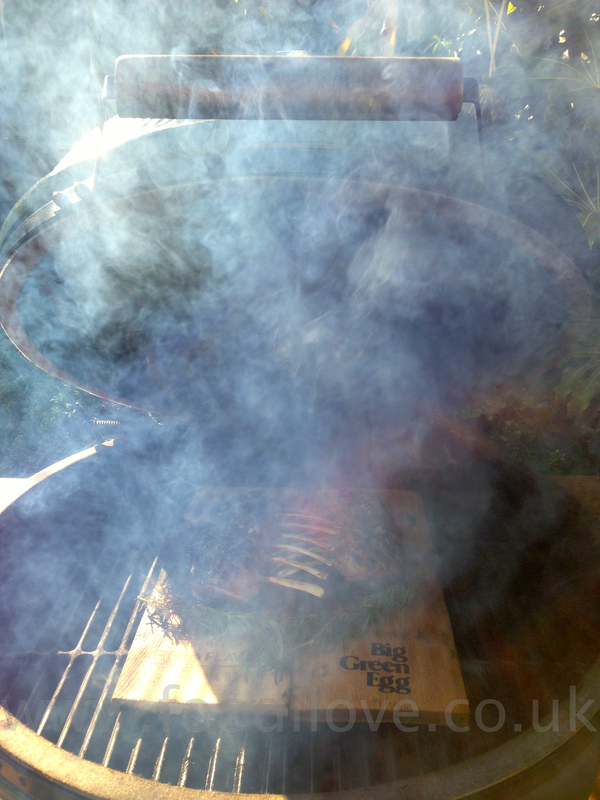 Howzit all, today I'm going to be cooking Beef Ribs, smoked with hickory chips and slow cooked to perfection. This takes time to cook if you want to get the best from this cut of meat, then you need to be cooking these for about 6 hours. Ask your butcher to cut the beef ribs thick (they are commonly known as 'Jacob's Ladder' ribs in the UK and the USA) because they shrink during cooking but will still leave you with a huge amount of meat to eat. Allow 1 to 2 ribs per person if they are big meat eater otherwise 1 each will be more that enough. Beef ribs are larger than and more tender and meatier than their pork counterpart, if they are slow cooked. Beef ribs are cut from the rib and plate primals and a small corner of the square-cut chuck section of the animal. A full rack of beef ribs is typically about 18 inches long and ranges from 3-5 inches thick, contains six ribs as well as the intercostal muscles and tendon and a layer of boneless meat and fat which is thick on one end of the rack and thiner on the other. Leave the meat out to come to room temperature. 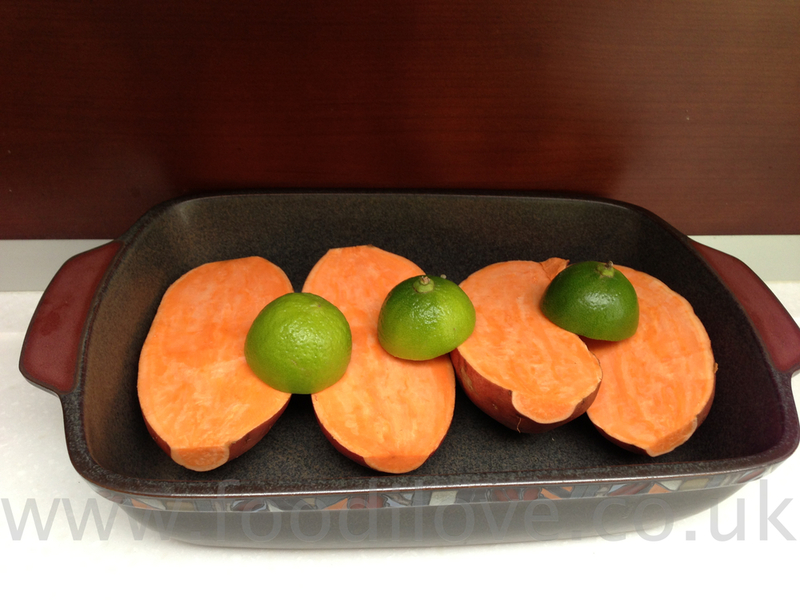 Place the hickory chips in a bowl, cover with water and let soak for at least 1 hour. To make the rub (you can store the remainder thats not used for use at a later date) pour the cayenne pepper, salt and pepper into a mill or pestle and grind into a course mixture. Generously rub the ribs with the spices then set aside to rest for 20 mins. In the meantime drain and scatter the wood chips over the preheated charcoal. Place the ribs on the grid with a pan of water under the ribs (this will keep the ribs moist and catch any excess fat) and close the lid of the braai, leave to slow smoke/cook for 1-2 hours do not open the braai during this time. After 2 hours raise the temperature of the braai to 356ºF/180ºC and open the braai up and baste the ribs generously with the Jimmy's sauce, continue to do this every 40 mins for 4 hrs. It is really worth taking your time doing this and the end result will reward you for your patience. 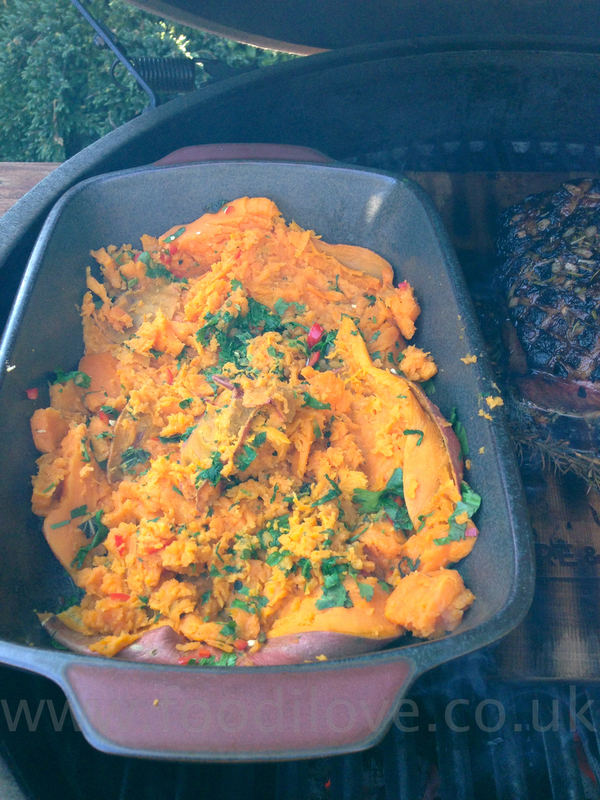 We are giving away 2 bottles of Jimmy's Braai Sauce so you can try this great recipe out. All you have to do is please leave some feed back and you could be 1 of 2 lucky people that get a chance to make this really great Rack of Beef Ribs. Also I love to hear what you think about what I'm cooking, feel free to leave suggestions what you would like to see me cook. Entries will close on the 15th March 2013.